Is Shartickon serious for anything other than forge? Tell me, please. I sacrifice them in arena. Use the 2 & 3 star sharks to forge, as they give more forge xp than the rest of the bots. Save the 4* sharks for arena. I love my Sharkticons too much to forge them, but this is good advice! Thanks, @Keys_Spidey! I almost have them all. I use them as buffers for Arena. Basically I use them to get to the x3 multiplier. was the name of my chauffer in Mumbai. Look at them go. I'm so proud of those little Sharks. 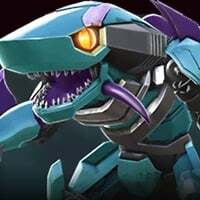 Nice fish collection, Kabam needs to give us the S1000, but the shark bot with a personality goes to Skybyte, which we will never see in this game. 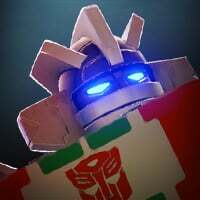 That's quite the gam of Sharkticons you got there. Yes. I did have to look up what a group of sharks was called and honestly, my day has been made better by this discovery. I haven't opened any of my 4* sharks yet, have not real need to use them. 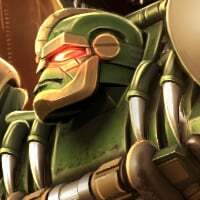 Am still waiting for the chance of a 5* Golden Sharkticon release. At that time, I hope that opening 4* sharks/dupes will give out 5* shark shards. I should probably do this. Craziest thing just happened to me... 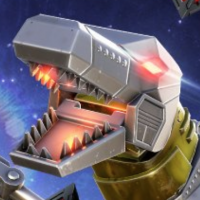 I had all the Sharkticons in 3* mode (all decently duped), plus I had a 4* unduped Demolition Sharkticon. 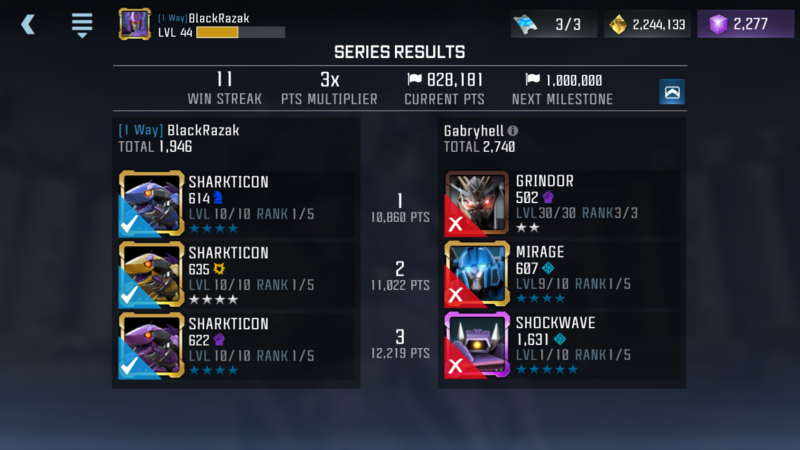 No 4* Sharkticon shards at the time. Well, I made the fateful decision to forge my 3* Demo into my 4* Demo. 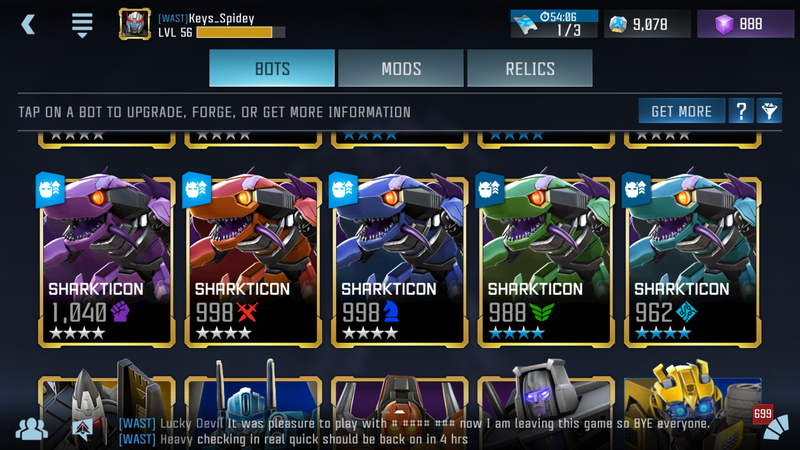 From that I got more than enough shards to spin for a 4* Sharkticon. I got Warrior. Repeated the process by forging my 3* Warrior into the 4* Warrior Sharkticon. 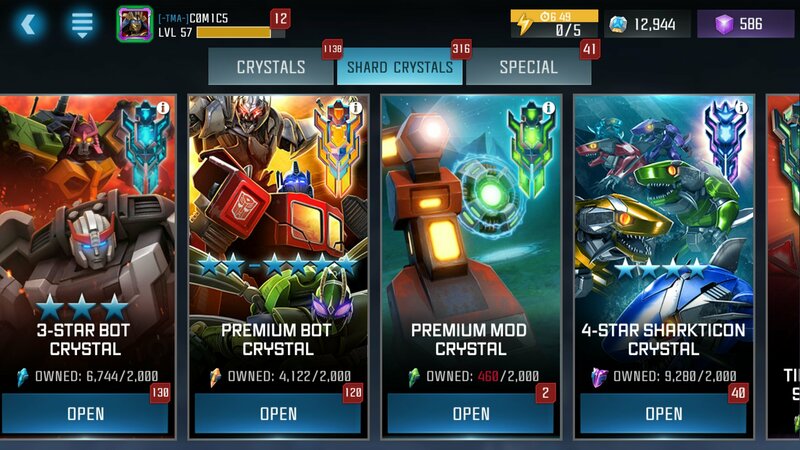 More 4* Shards to get another 4* Sharkticon. This one was Scout. Repeated the process. You get the idea. To cut to the chase, after spinning 5 4* Sharkticon Crystals this evening, I went from 1 4* Sharkticon to all 6 4* Sharkticons. But wait, there’s more! Because all my 3* Sharkticons were decently duped, I had enough shards to make 7 more 4* Sharkticon crystals. 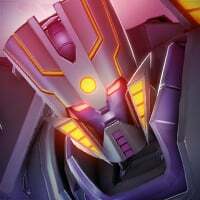 And spinning those crystals allowed me to dupe all 6 of my 4* Sharkticons. There are times this game frustrates me, & there are times when unexpected magic happens. This was the latter. Thank you, Kabam, for this unexpected moment of bliss.